Congratulations Week 12-30-13, 01-06-14, 01-13-14 Giveaway Winners! CONGRATULATIONS WEEK 12-30-13 GIVEAWAY WINNER!! Karen’s Killer Book Bench with AVA MILES!! 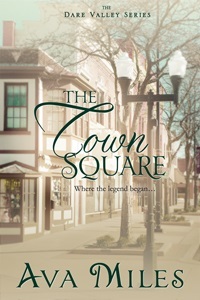 Giveaway: Ava will give away one ebook copy of THE TOWN SQUARE to one of her lucky readers who comments on her Monday Interview or Wednesday Book Bench blogs!! Thanks, Ava, for sharing your stories with us! CONGRATULATIONS WEEK 01-06-14 GIVEAWAY WINNERS!! Giveaway: Eileen will give away an autographed copy of ONCE A RAKE to one of her lucky readers who comments on her Monday Interview or Wednesday Book Bench blogs!! Thanks, Eileen, for sharing your story with us! Giveaway: Donna will give away a $5 Amazon Gift Card to one of her lucky readers who comments on her Karen’s Killer Fixin’s blog!! Thanks, Donna, for sharing your upcoming release and scrumptious recipe with us! CONGRATULATIONS WEEK 01-13-14 GIVEAWAY WINNER!! Karen’s Killer Book Bench with K J MONTGOMERY!! 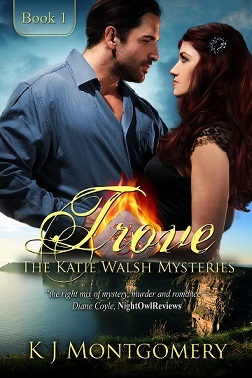 Giveaway: K J will give away a print copy of TROVE to TWO of her lucky readers who comment on her Monday Interview or Wednesday Book Bench blogs!! Thanks, K J, for sharing your story with us! WINNERS!! VIRGINIA NELSON and ROBENA GRANT! !